On Monday morning, investors came out strong and bought the trade-war dip. On Tuesday, it took more convincing, but bulls reluctantly bid U.S. equities off their lows. I don’t know how much longer they can handle it though and if trade talks intensify, U.S. stocks look likely to head lower. That’s why on days like this, I like to look for strength, which you’ll see in our top stock trades below. Talk about a juggernaut — Netflix, Inc. (NASDAQ:NFLX) has powered higher again on Tuesday, now up more than 3% and above $400. Thought you could get this on a pullback? Well think again, apparently. Shares are now up a laughable 110% this year and more than 160% over the past 12 months. FANG is hanging tough amid the selling too, with Amazon.com, Inc. (NASDAQ:AMZN) racking up another all-time high on Tuesday as well. So what do investors do with NFLX? For the love of God, please don’t short the thing. We’ve preached over and over not to short strength and this is a perfect example as to why, regardless of the valuation. 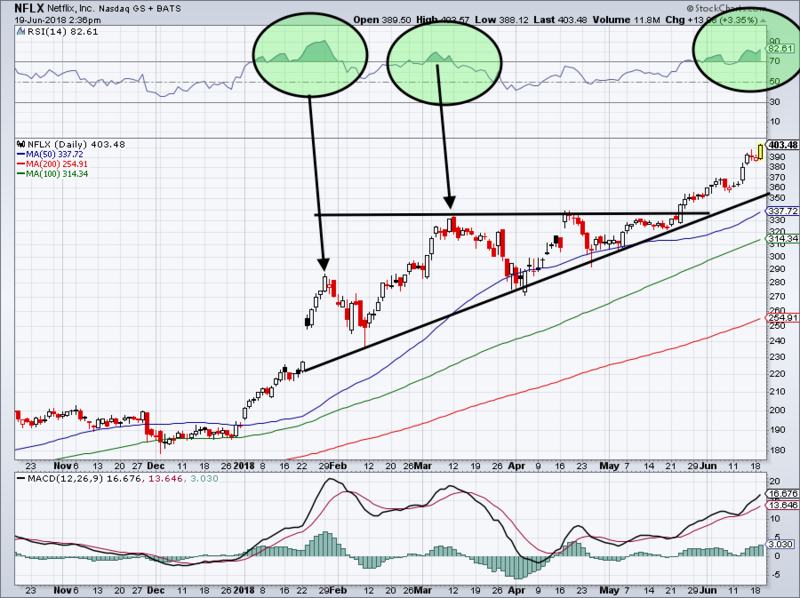 We were all over the breakout in late-May and props to those who are still riding it. $400 is a significant level, but with this high of an RSI (green circle) and after this big of a run, new buyers have to wait for a pullback or some consolidation first. Want to know another strong stock lately? 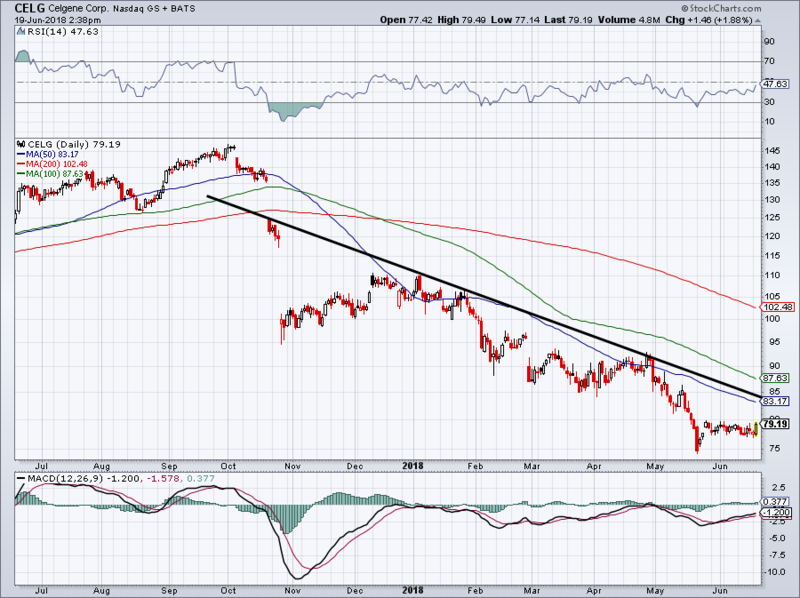 Chipotle Mexican Grill, Inc. (NYSE:CMG). This burrito monster has been on a tear, almost doubling from its 2018 lows. Now though, CMG is coming into some pretty notable resistance between $475 and $500. The optimist in me is looking for shares to push through, but the realist in me says that may not happen quite so fast. You may recall we warned investors not to short CMG after it ran from $325 to $425 in a week. But now we need to see how it handles resistance. If it pushes through, then great, as bulls can buy with a great risk/reward. Buying as CMG enters resistance though is a bad risk/reward. Another monster? Dropbox Inc (NASDAQ:DBX), which went public in March at $21. After closing at $42 on Monday, the stock is officially a double. But the story is a little more strange than that. While the stock was holding onto its gains following a successful IPO, shares were getting into a narrow, sideways range. 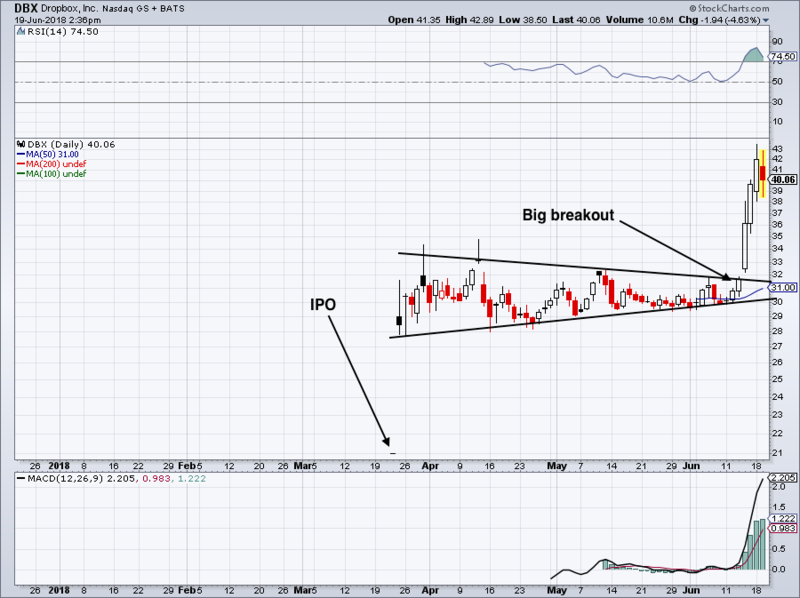 It was the perfect name to watch for a breakout or a breakdown. However, no one expected it go from $31 to $43 in three days. We still don’t really have an explanation, (although there may be some reasoning). While shares are down a bit Tuesday, the 40% gain in five days gives recent investors a lot of cushion to work with. I wouldn’t chase this name because it’s run too much. But those that think this name could outperform amid further market weakness (as we’ve seen the past few days) could buy DBX and use a stop-loss below Tuesday’s lows. To say Celgene Corporation (NASDAQ:CELG) stock has been hammered this year almost feels like an understatement. With shares down more than 40% over the past eight months, it’s surprising to see this dud outperforming on any day, let alone Tuesday, up 2%. 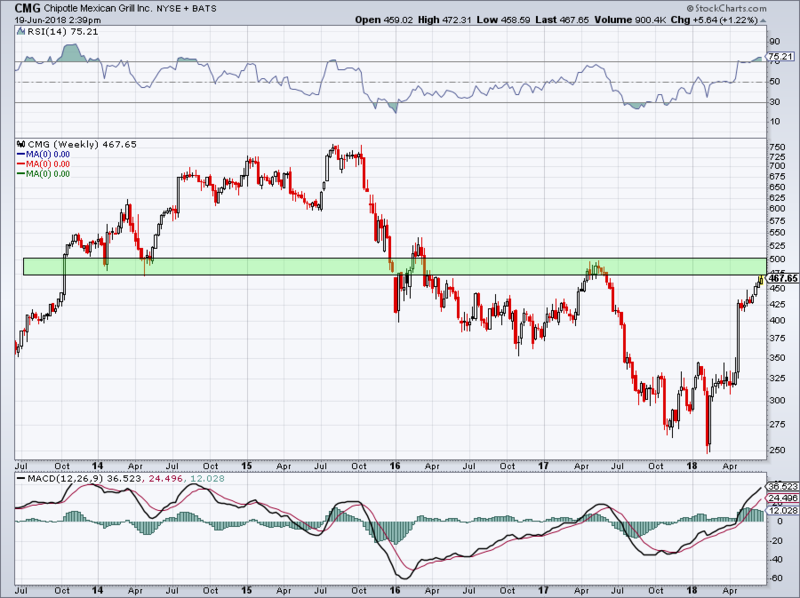 $75 held as support and shares have been consolidating above this level for a month. That gives bulls a solid risk/reward should they go long near current levels. Investors have two real tests though: If $75 is retested it has to hold or CELG could be in for more pain. Additionally, downtrend resistance is now near $83, but could be lower by the time it comes into play, which will be vital to bulls and bears. If it holds, bears are still in control. A close above it and bulls have the ball. It can’t all be about the winners today. Should we call it $29? How about $30? 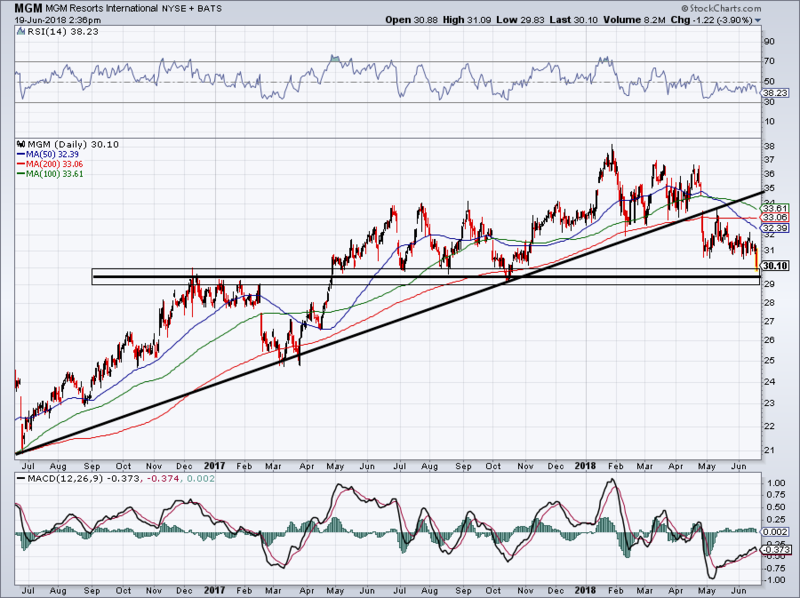 For MGM Resorts International (NYSE:MGM), it’s not perfectly clear as to what the level is that shares must hold, but it’s pretty darn close. Our line — parked at the politically correct $29.50 mark — shows this area was a critical pivot point for MGM as it went from resistance to support. Should it give way, it will likely become resistance again. 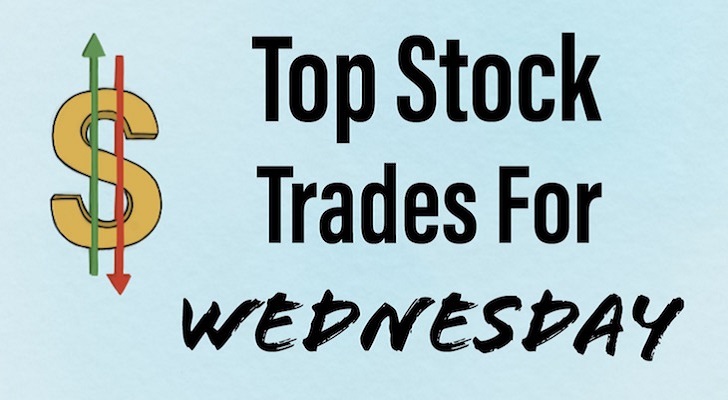 Article printed from InvestorPlace Media, https://investorplace.com/2018/06/5-top-stock-trades-for-wednesday-morning-2/.